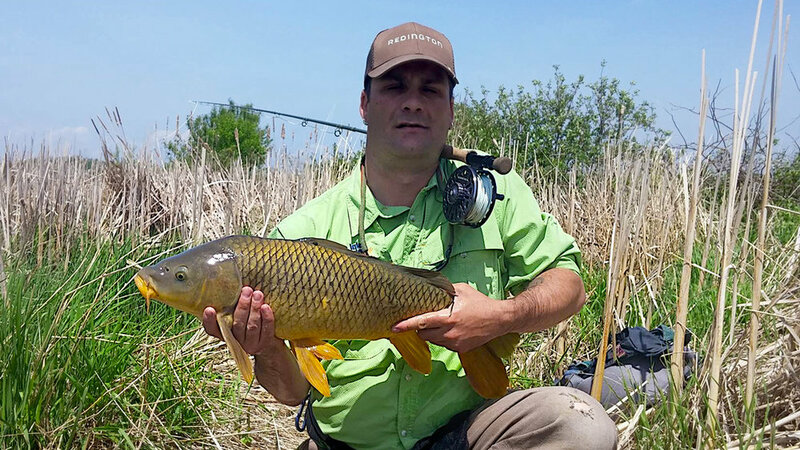 So what is a carp fly fisher to do? Check leaders, and if you make your own, make sure you have the required materials. Start a list on things you’ll likely need. 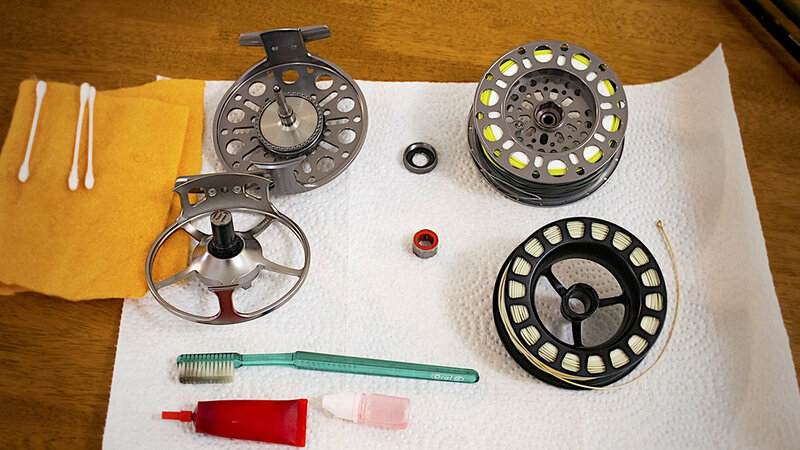 Don’t forget those reels; back off the reels if you haven’t already, remove spool, clean and re-grease reel as needed, (if you want to take it completely apart, either you tube it, or have it serviced as most top end reels are sealed for a lifetime of service). Check the backing for abrasion, wear & tear and or for rotting. If it’s smelly, (pre-rot) take it off and let it dry out. There are plenty of ideas on YouTube and such to remove and store backing, some guys use coffee cans or other large round containers etc. After the backing is dry place back on reel and add your newly cleaned line. Now you’re ready and have started a list of what is needed for the upcoming season. Next go through your vest, back pack or whatever you use to hold your terminal tackle and fly boxes. Open the boxes and check for rust and remove any flies that are rusted. Depending on severity of the rust, you can sharpen to remove, or if it’s too far gone, don’t take a chance, trash it. If it’s your go to fly, put it at your tying station to remind you to retie at a later date. Add the required terminal gear needed to the to do list. Go through your fly boxes and organize them by what worked great (go to flies), what worked sometimes (dry flies, mulberries etc.) and what didn’t work at all. Put them in all in different boxes, we will get to that in more detail in a second. You’re basically preparing to go fishing without the fishing part, it will help but probably not fix the cabin fever. When you have a list of the things you need for your bag, keep it in safe place, more on that later. Fly tiers call it fly tying season, it’s just a code for the cabin fever, you can’t do anything about it but when you organize your flies and make notes of what worked and didn’t, it can ease the pain a little. This is the time to make a list of the material required to tie each one. Next stop is the tying station. While you are there doing inventory, tidy & organize your station, it will be easier and more efficient to tie your flies, once you get to that stage. The photos above and below are a before and after shot of my tying station. There are so many new products, materials and such today it’s good to experiment and push your boundaries. Could be same pattern but an updated material, in a UV maybe? You never know, you could end up with next year’s “go to” fly….? Tie the flies to re stock your inventory now, because when season opens, you don’t want to spend the best days tying flies when you should be on the water unless you have too. 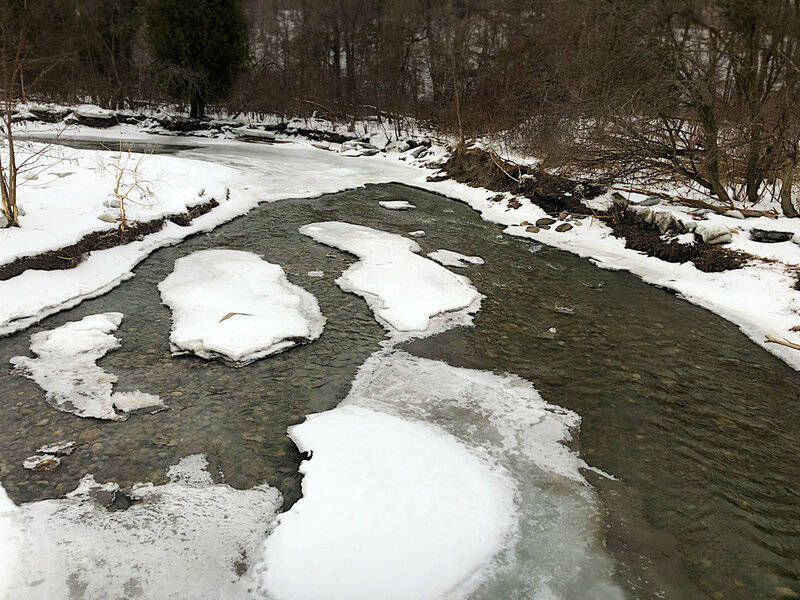 Right now is definitely the time to do this; you can’t fish, so you might as well make the best of it and tie flies all winter. 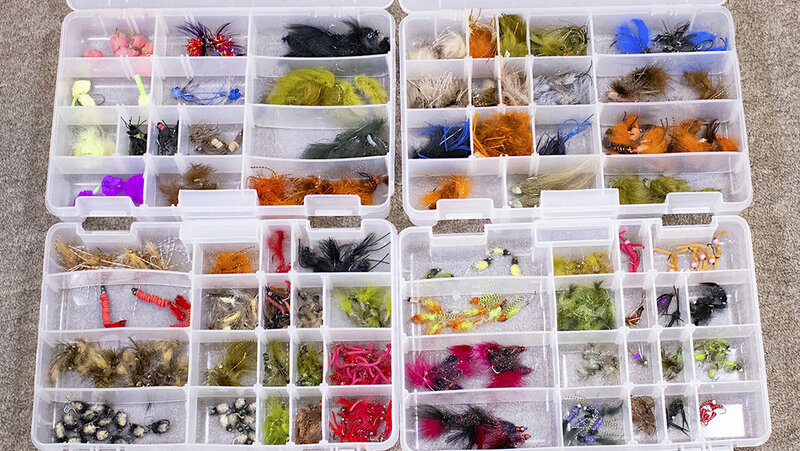 Organize your flies by type, season or animal in tackle trays to save money on fly boxes and they hold more than most fly boxes do. One box for nymphs, a box for crawfish, sculpins, leeches, top water etc. If in your area you only use a few types of flies organize them what works for you best. So now you have a list of the gear you need, fly tying supply list, a list of new flies you want to try. Getting ready for the new season, being prepare and building excitement to get through the rest of winter will help the cabin fever. Older PostIf You Feed Them In The Right Area... They Will Come!